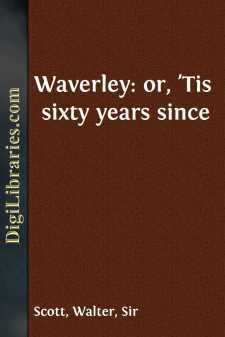 The plan of this Edition leads me to insert in this place some account of the incidents on which the Novel of WAVERLEY is founded. They have been already given to the public, by my late lamented friend, William Erskine, Esq. (afterwards Lord Kinneder), when reviewing the 'Tales of My Landlord' for the QUARTERLY REVIEW, in 1817. The particulars were derived by the Critic from the Author's information. Afterwards they were published in the Preface to the CHRONICLES OF THE CANONGATE. They are now inserted in their proper place. The mutual protection afforded by Waverley and Talbot to each other, upon which the whole plot depends, is founded upon one of those anecdotes which soften the features even of civil war; and as it is equally honourable to the memory of both parties, we have no hesitation to give their names at length. When the Highlanders, on the morning of the battle of Preston, 1745, made their memorable attack on Sir John Cope's army, a battery of four field-pieces was stormed and carried by the Camerons and the Stewarts of Appine. The late Alexander Stewart of Invernahyle was one of the foremost in the charge, and observing an officer of the King's forces, who, scorning to join the flight of all around, remained with his sword in his hand, as if determined to the very last to defend the post assigned to him, the Highland gentleman commanded him to surrender, and received for reply a thrust, which he caught in his target. The officer was now defenceless, and the battle-axe of a gigantic Highlander (the miller of Invernahyle's mill) was uplifted to dash his brains out, when Mr. Stewart with difficulty prevailed on him to yield. He took charge of his enemy's property, protected his person, and finally obtained him liberty on his parole. The officer proved to be Colonel Whitefoord, an Ayrshire gentleman of high character and influence, and warmly attached to the House of Hanover; yet such was the confidence existing between these two honourable men, though of different political principles, that while the civil war was raging, and straggling officers from the Highland army were executed without mercy, Invernahyle hesitated not to pay his late captive a visit, as he returned to the Highlands to raise fresh recruits, on which occasion he spent a day or two in Ayrshire among Colonel Whitefoord's Whig friends, as pleasantly and as good-humouredly as if all had been at peace around him. After the battle of Culloden had ruined the hopes of Charles Edward, and dispersed his proscribed adherents, it was Colonel Whitefoord's turn to strain every nerve to obtain Mr. Stewart's pardon. He went to the Lord Justice-Clerk, to the Lord-Advocate, and to all the officers of state, and each application was answered by the production of a list, in which Invernahyle (as the good old gentleman was wont to express it) appeared 'marked with the sign of the beast!' as a subject unfit for favour or pardon.